Head for the Parapets - Defend the Castle! It is said that one of the most fascinating aspects of our culture that is admired the world over, and quintessentially English, is the pub. And, whilst to the lay observer they may seem no more than a casual meeting place for individuals to enjoy a glass or two of ale at the days end, there is much more to their significance in terms of social history. In days gone by the pub, as part of village life was fundamental to the running of a communities well being. It was the meeting place of debate and discussion, and local commerce was often carried out within its walls. Its role in unifying a community was without president, and interestingly, in a country of significant class divide, also acted as a leveller where a squire may well rub shoulders with those he employed, on a level playing field. Not unnaturally the pub is often seen as being at the heart of a community, and this rich vein of sentiment lives on to this day. Ironically however today, sadly, in a different climate it is the pubs themselves that require that community spirit to ensure their own survival. 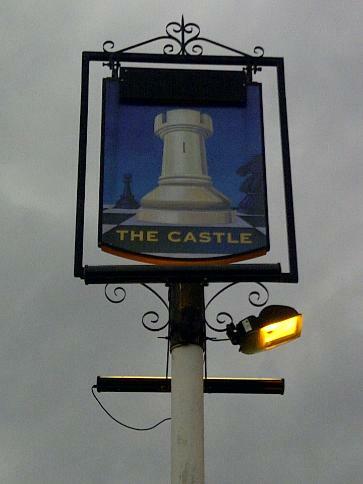 One pub that is facing such a threat is The Castle in Battersea High Street in London. 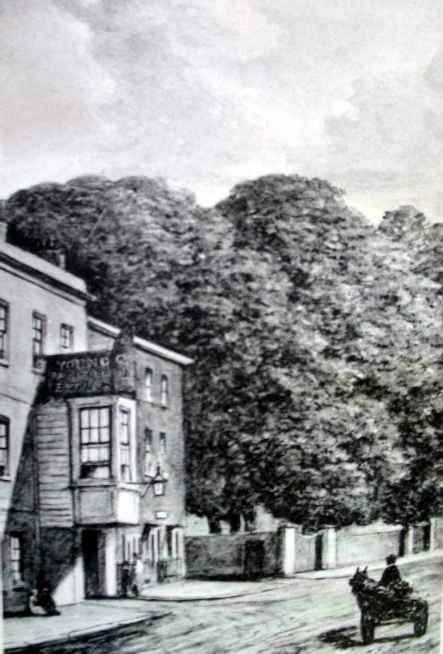 A pub has stood on this site from at least the 1660's and along with The Raven in Battersea Village, and The Swan, that once stood close to St. Mary's Church on the Thames itself, were considered amongst the oldest in the area. The forerunner of the present Castle was demolished in 1965, and its owners, the Young's Brewery of Wandsworth, built a new pub on the site to continue its heritage link. With changes in the fortune of the brewery itself, and a merger with Charles Wells of Bedford, a new policy and re-evaluation of the estate has taken place, and in August last year the freehold of The Castle was sold to developers for £1.1 million. The new owners of the site, Languard Investments, wish to demolish the pub to make way for a block of flats to be built, thus ending over 350 years of continuous history. The tenants Cate Toomey and Aaron Tumata immediately begun to galvanise support to save the pub, and to date have received over 700 individually written objections to the planning proposals. They have transformed the pubs fortunes since taking over the tenancy over three and a half years ago. The pub is well known as being an essential part of the fabric of the local community, recognised as such by many within the borough itself, and confirmed by the support it has received so far in trying to ensure its survival. With a staggering 56 pubs in Britain closing down each month, its loss would be yet another blow to a community that values its presence over a corporate desire for pure profit, benefiting the few. Time however is of he essence, as the application is due to go to the Planning Committee on the 18th April at Wandsworth Town Hall. It is time to up the drawbridge, head for the parapet - and defend The Castle!